Welcome to Motorparks, where you can find a fantastic selection of thrilling and affordable new Fiat 124 Spider cars. 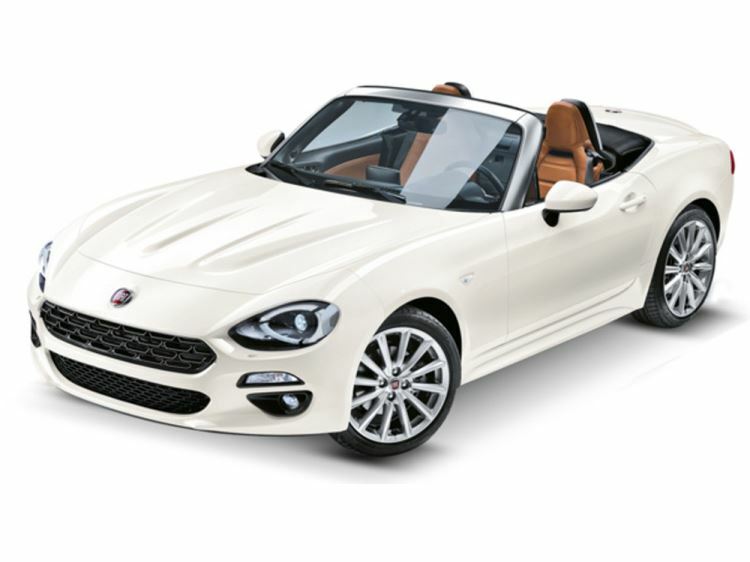 Launched in the same year that Fiat is celebrating 50 years of the 124 Spider sports car, the new model has a raft of features which pay tribute to the classic variant. The most notable acknowledgements are the car’s rounded LED headlamps being placed around a wide and high-mounted grille, as well as its set of oblong rear lights. There are many standout features of the 2017 Fiat 124 Spider which help to bring the roadster into the 21st century too. You can get from A to B in style with the assistance of a seven-inch touchscreen dashboard which comes complete with a 3D maps navigation system, for example. The car’s exclusive Bose sound system also delivers top-quality audio through nine speakers — including four which have been integrated into the headrests of the roadster’s two seats. It’s an arrangement perfectly designed to put the fun back into driving. For more information about the new Fiat 124 Spider, simply make an enquiry now about any of the roadsters seen below. You can also get a better feel for Fiat’s new sports car by requesting a test drive. It’s up to you whether you want your drive to commence from our Oldham Motors, Preston Motor Park or Bolton Motor Park dealership. Looking for a racier version of the Fiat 124 Spider? Be sure to also discover our equally impressive new Abarth 124 Spider range, which features roadsters created by Fiat's performance arm.